With his newest musical output, Camp, due out later this month, funnyman Donald Glover pulled double-duty on NBC this week. After choosing between plumbing and air-conditioning repair as the dim-witted Troy Barnes on Thursday night’s episode of Community, Glover returned to the network Friday evening as his hip-hop alter ego Childish Gambino to plug his forthcoming album on Late Night with Jimmy Fallon. 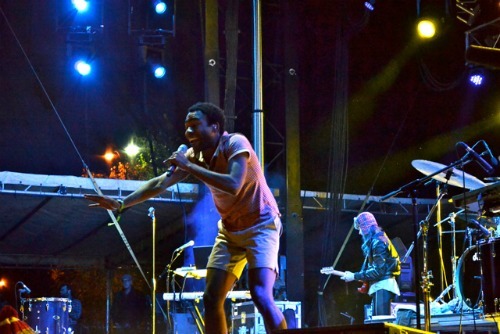 Making his television debut as Gambino, Glover added much needed heat to the late-night lineup by performing his newest single “Bonfire”. Always remember kids: if there is one thing we can all learn from Glover/Gambino/Barnes, it would be to follow our dreams, be they of hip-hop stardom or ultimate couch surfer. Watch the video replay below. Camp will be available November 15th via Glassnote Records.